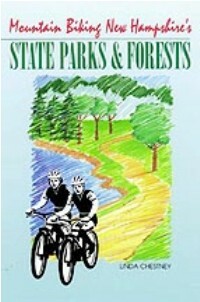 Mountain Biking New Hampshire�s State Parks & Forests, by Linda Chestney, 1996. A guide to riding in 34 state parks & forests throughout New Hampshire. Each chapter includes basic ride information, descriptions of ride options, and a good sketch map. 176 pp, 6� x 9�.